I mean really, really look around. Every little thing – that weathered window sill, the sparkly vase, even that fuzzy gray pillow – they can all be your inspiration. Your muse. The catalyst to the next great idea. 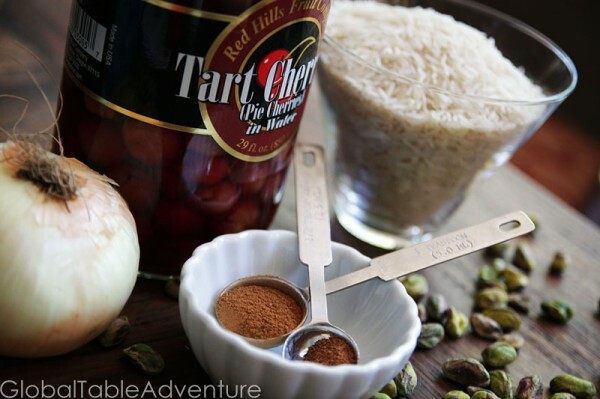 Take this Persian Sour Cherry Rice, for example. When I look at this masterpiece in form and taste – I can’t help but wonder what inspired someone to create such a dish. Who was the clever soul that first made this tower of deliciousness infused with cinnamon, nutmeg – punctuated by soft pistachio nuggets, sour cherries and sweet caramelized onion? What were they looking at that sparked the idea? Recipe adapted from The Silk Road Gourmet by Laura Kelley. 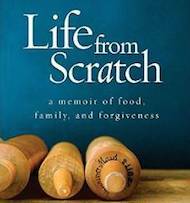 You can find more recipes and fascinating history on her blog Silk Road Gourmet. My first guess? 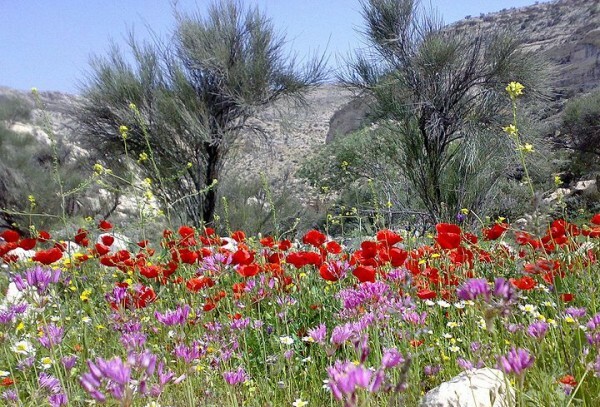 Iranian wildflowers. … Red sour cherries, highlighted with a purple onion and green pistachios, steamed together with a white tower of basmati rice. Quite the homage to Iranian wildflowers. Yes. I can see it now. Only there’s just one problem. I didn’t use a purple onion. But I could have. And, after looking at those flowers, I feel as though I should have. Let’s make the dish and see if any other ideas come to us. First step: Bring water to a boil. Meanwhile, in a 2.5 quart pot, cook down the onion in butter. Get it in the early stages of caramelization – take it darker than I did. This will make a nice crusty topping for the rice. Next? Add on the pistachios, cinnamon, nutmeg, salt, pepper and sugar. Give everything a stir, then dump on the drained sour cherries. Spread the mixture into an even layer and cover with rice. Add boiling water and cover with lid. Reduce heat to very low. Let steam 30 minutes to 1 hour – give it a taste along the way. Mine only took 30 minutes. The rice will be done when the grains fluff up and just barely resist when bitten. 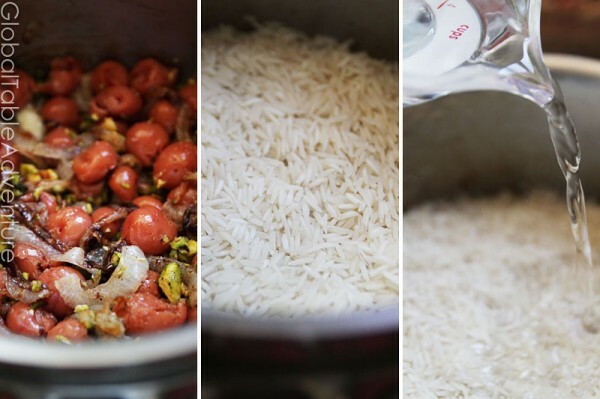 Remember, the inside of the rice will be more cooked than the top so take care not to overcook it. 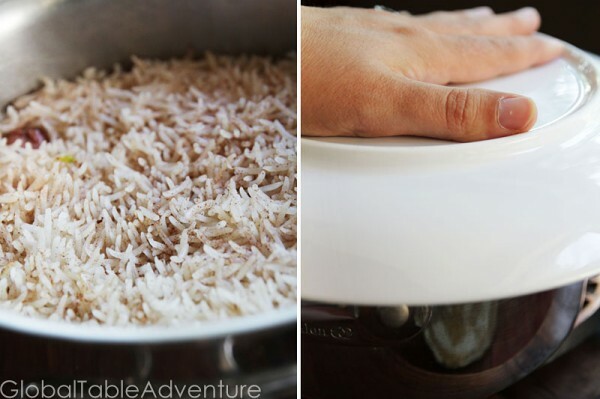 When you’re satisfied with the rice, place a large platter over the top of your saucepan. Flip it over and slowly lift off the pot. I’m ready to take my second and final guess as to the source of inspiration for this incredible dish. It’s a little unconventional, but I think rather appropriate. 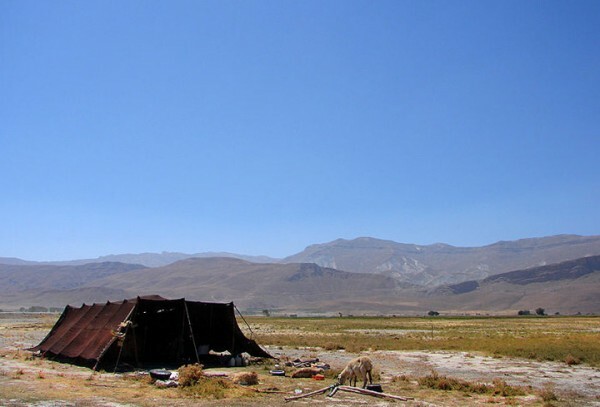 The tent of an Iranian nomad. These tents stand tall and proud in the wind. They are sturdy and majestic, but also flexible. They flap in the wind. As for this rice? It is tall and proud. Sturdy and majestic. 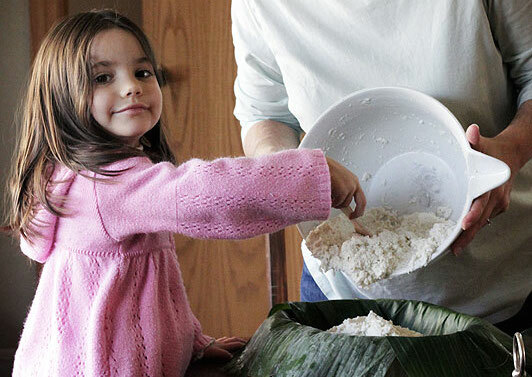 And, when you let it steam dry for a few minutes after unmolding, you’ll bite into the lightest rice you’ll ever have the fortune of sampling. So, despite it’s sold form, it’s really rather delicate. It might even flutter and flap in the wind. When I look at this masterpiece in form and taste – I can’t help but wonder what inspired someone to create such a dish. Who was the clever soul that first made this tower of deliciousness infused with cinnamon, nutmeg – punctuated by soft pistachio nuggets, sour cherries and sweet caramelized onion? What were they looking at that sparked the idea? There had to be something. Bring water to a boil. Meanwhile, in a 2.5 quart pot, cook down the onion in butter. Get it in the early staged of caramelization. This will make a nice crusty topping for the rice. Next, add on the pistachios, cinnamon, nutmeg, salt, pepper and sugar. Give everything a stir then dump on the drained sour cherries. Spread the mixture into an even layer and cover with rice. Add boiling water and cover with lid. Reduce heat to very low. Let steam 30 minutes to 1 hour—give it a taste along the way. Mine only took 30 minutes. The rice will be done when the grains fluff up and just barely resist when bitten. Flip it over and slowly lift off the pot. 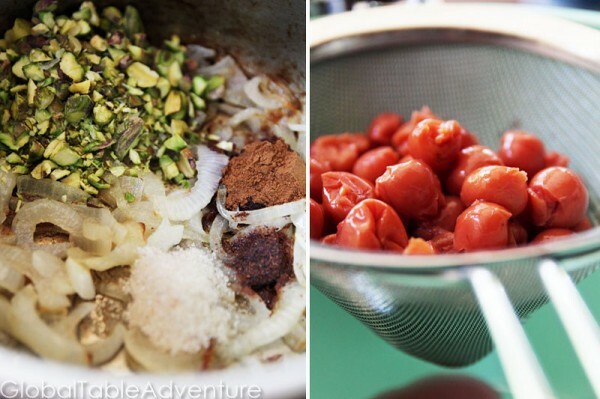 It’s great to already have all of the ingredients in the pantry when a really inspiring recipe gets posted. Thanks, Sasha. I will use a Torpedo onion for this. I read other blogs from time to time. Some I may even read for several weeks or months before stopping. There has only been one other blog I have read for as long as yours (well, longer, but that’s only because she wrote longer than you have), and I see no reason I will stop before you get to Zimbabwe. You really do a great job! @John – Wonderful! I hope it comes out/came out delicious 🙂 Please do let me know what you think. @Richard – Thank you – it’s always nice to see different techniques. It was an acquaintance from when I lived in NYC- someone from the theatre world. 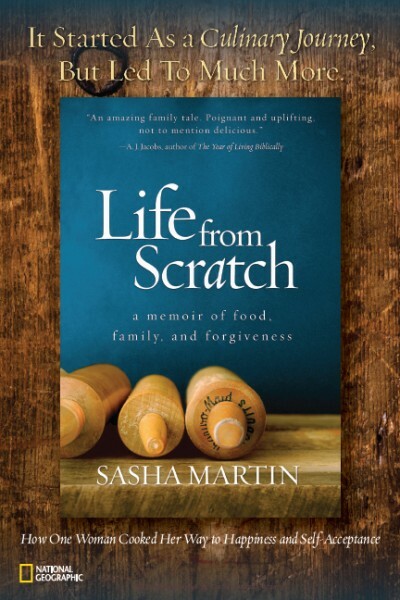 I read it more sporadically when I stopped having much to do with theatre, and then she started having less to do with it as well and started writing more about going to baseball games, so I stopped reading altogether. But I did read her blog for several years, and she wrote almost every day. Sasha, I made this tonight. Used a Torpedo onion. Wonderful flavor. You picture was much prettier than my product.The onion (I think) colored my rice a reddish brown color, not bad, but yours looked nicer. I got a kick out of the “swooosh” sound as the rice slid out of my sauce pan. Thanks for the post, I will make this many times in the future. 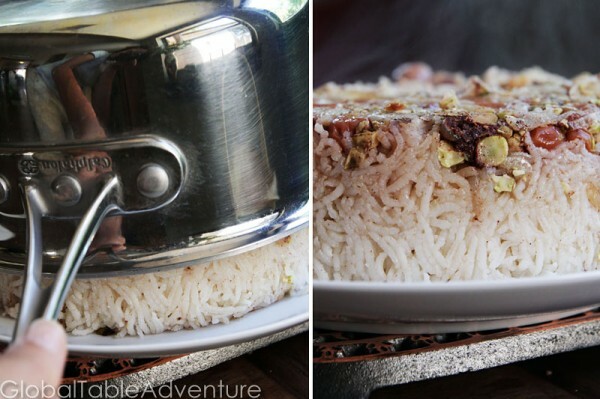 I love your adventure and guess what: Persian Sour Cherry Rice is my Favorite!! 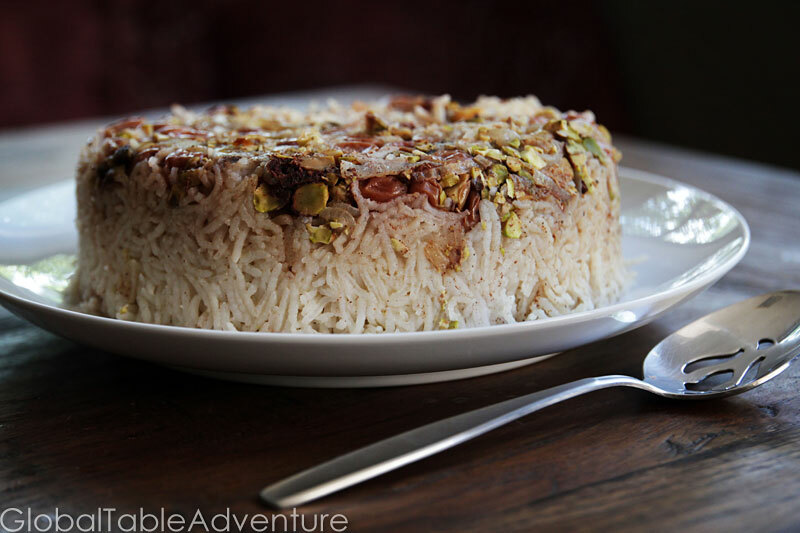 My family is from Iran, but i’ve lived in the US my whole life and as a girl who loved pink, my mother’s version of this rice came out pink – a special treat. It always was my birthday dinner request! I care so much about the kind of challenge you’ve taken on. I’m the author of Growing Up Global: Raising Children to Be At Home in the World. Had I known about your adventure 2 years ago when the book was coming out, I would have included it in the Break Bread chapter, along with other hands-on resources. In the meantime, I’ll share it on the Growing Up Global Facebook page, a great community of globally-minded parents and friends from around the world. Keep up the great work! i feel like I have eaten something like this before??? maybe without the cherries…anyway..it is beautiful and i love those pistachios…..are they a joy or what?! yay! Do you have any idea of calorie count, etc.? I have a daughter-in-law who is counting calories and carbs at the same time she is eating Gluten-free, Dairy-Free, Vegan. We’d like to know how this would fit with her diet. Thanks if you can help. We made this yesterday and it was **so** delicious! Even better today as leftovers. Thank you! I really liked this recipe. So delicious. As I am working my way through your Global Adventure, some of the most enjoyable discoveries have been the Middle Eastern cuisine.